Cotyledon is the scientific name for the first leaves from a seed. These leaves are usually considered as being in the seed itself. 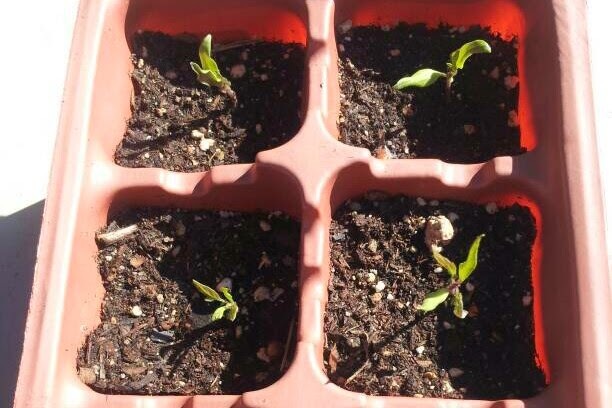 They come out of the seed, along with the first root, and begin the life processes for the plant - upon the photosynthesis carried out by the cotyledons, the regular leaves form, processing ever more light into what the plant needs to grow to adulthood. The plants we grow for food and medicine are mostly, not always, but overwhelmingly mostly, from the group of plants called, the higher plants, the flowering plants or, in scientific jargon, the Angiosperms. Harder to see, but still obviously a dicot, right? Most of our food plants come from that group of plants in the Angiosperms that have two cotyledons and are called the 'dicotyledons' or, more commonly, just 'dicots.' If you are a gardener in the know, you can use words like, dicot with impunity and impress the neophytes. Tomatoes growing above show the typical dicot form. Coming along later on the evolutionary timeline are the 'monocots' with one leaf. 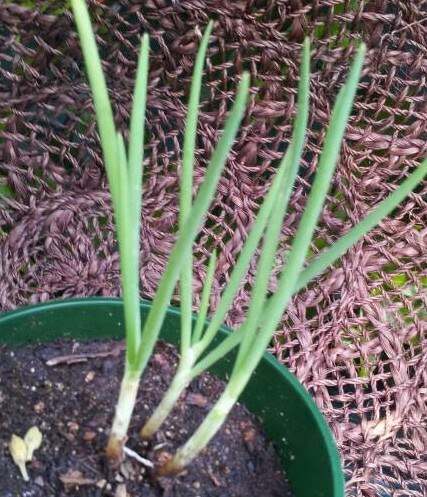 In this group you have all the onions, leeks, garlic and chives; collectively called the Alliums. It also includes, to name some of them, all grass, all the grains (which are just grasses), palm trees, sugar cane and bamboo. Pretty diverse and prolific. One poet wrote, "I am the grass, I cover all," and it's not too far off. The johnny-come-lately to our world, monocots have done a good job of out competing other plants that have been around longer. There is no eco-system on earth that does not have some grass in it. Often times the cotyledons are NOT at all like the true leaves that the plant will eventually have; that happens in the second set of leaves a plant produces.In order to not weed out your little babies in the garden, a beginning gardener has to learn what the cotyledons look like. This is the time of year we all need to be sowing our tomatoes, I already have about 180 tomatoes over an inch high and more behind them. I normally don't start pepper until mid-April, but this spring has been so warm, I just started peppers, eggplants, okra and squash today. I ran out of soil or I would have started cucumbers and zucchini. 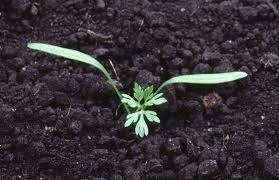 Don't slack now - if you don't get your seeds in the ground now, you'll be losing harvest in a couple of months!